Marjane (voiced by Chiara Mastroianni) is an innocent nine-year-old living in Iran, surrounded by a loving but incredibly protective mother (Catherine Deneuve) and father (Simon Abkarian). She finds comfort in the carefree spirit of her loving grandmother (Danielle Darrieux), as well as music by artists as diverse as ABBA and Iron Maiden. When Marjane's uncle is killed in the Iran/Iraq war, her parents send her to school in Austria, where she can study in safety. The only trouble is that her Middle Eastern appearance frightens people, giving her a harsh lesson in racial prejudice. Somehow, Marjane's fiery spirit doesn't succumb to any of the negativity. Eventually, she returns home to Iran to be closer with her family. But even though she settles into married life, the tyrannical pressures of Iranian society force her to abandon her country once again, sending her to France on another journey. Based on her bestselling graphic novel, Marjane Satrapi teamed up with underground comic book artist Vincent Paronnaud to co-direct this animated big screen adaptation. The result is an electrifying, heartfelt, and original portrait of a spunky girl who surmounts countless obstacles to grow into a wise young adult. 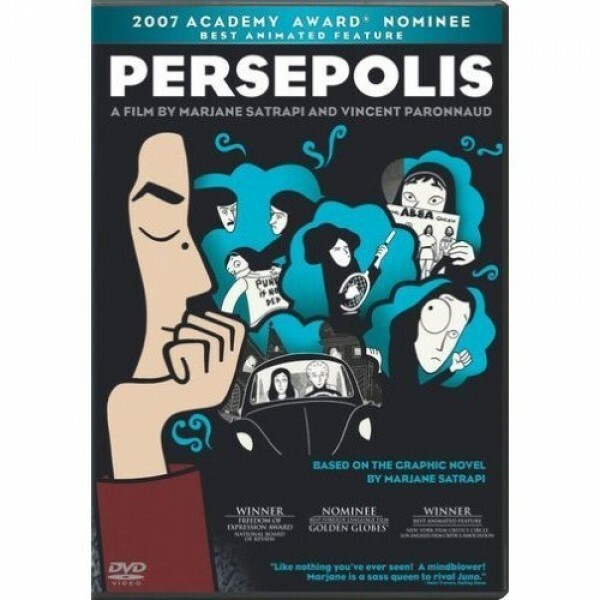 Satrapi and Paronnaud retain the stark, spare animated style of the graphic novels that inspired the film. This is a wise decision: the less specific they get in their visual presentation, the more universal their story becomes. Persepolis gives viewers several movies in one. It is equal parts coming-of-age story, history lesson, and an animated adventure tale.